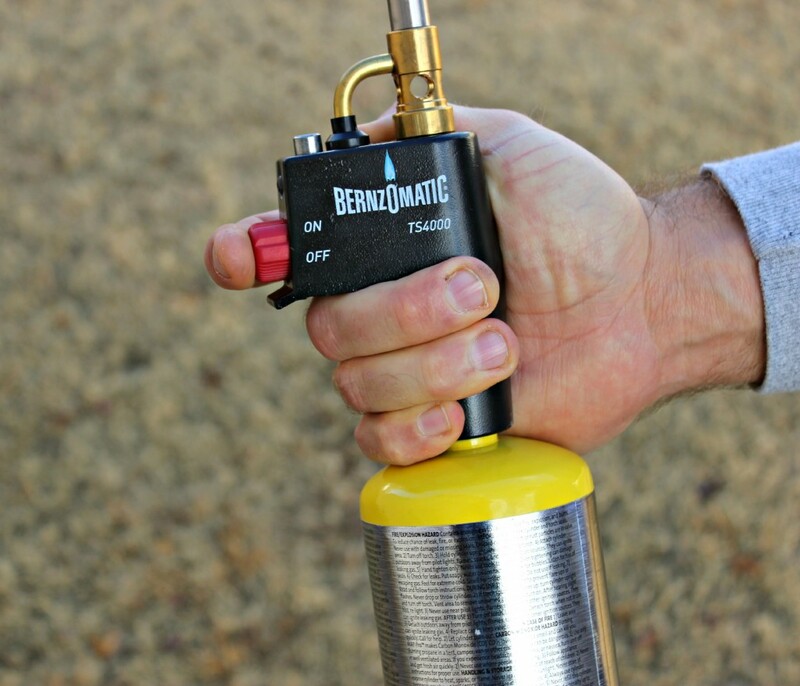 Bernzomatic TS4000 Torch Kit – Great Gift For The Man In Your Life! I received this item as a promotional item. 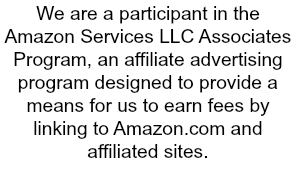 This is not a sponsored review. All opinions are 100% my own. The Bernzomatic TS4000 torch kit is ideal for use on medium to heavy soldering and brazing jobs. The kit includes Map-Pro fuel and durable cast body self-igniting torch head. Self igniting torch is equipped with an instant on and off trigger. I got this kit last week! My husband is a pretty handy person he enjoys working in the shop, and I thought this would be a perfect item for him to use for his DIY work. He mud runs as a hobby and spends a lot of time tweaking and working on his Jimmy to get it running faster and better. Never know when he will need a torch! This is a really nice torch, the only downfall my husband noticed was sometimes it does take a little bit to get it light. He had to try turning it on a few times before it actually would take. Other than that it works great and has a nice flame to it. My husband was very impressed with it! It is nice it has a lock button for finger-free use! This will come in handy for sure. 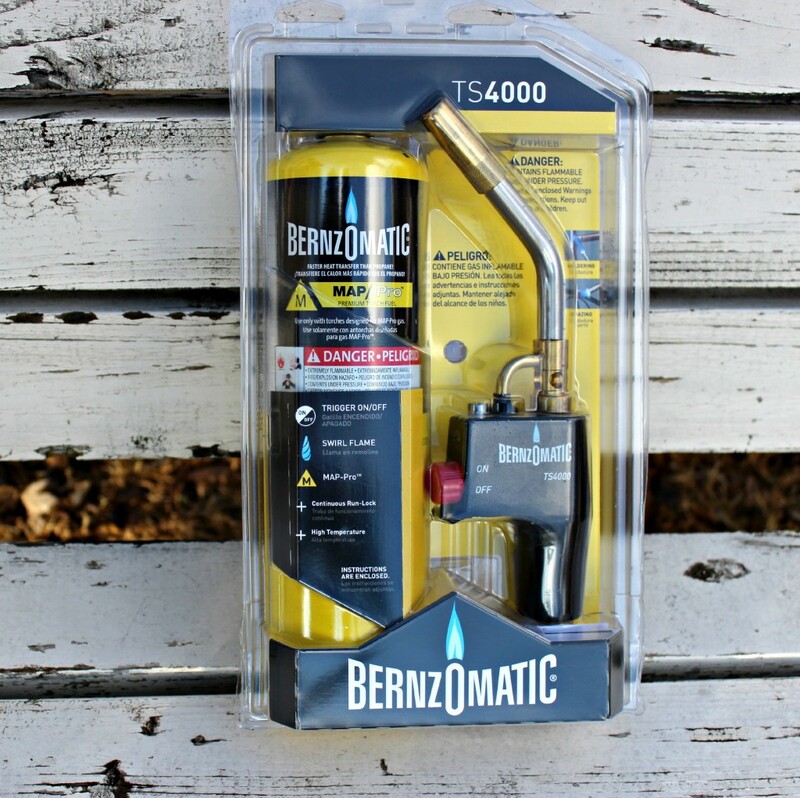 You can get this Bernzomatic TS4000 Torch Kit at Home Depot for under $50 right now. This is also great for DIY crafters as well. Do you know someone who would enjoy this torch kit? My father in law is the handy man in the family. He would LOVE something like this. My husband would love to get this for Christmas. We use these during the Fourth of July. Oh boy can I see m husband being excited to open this on Christmas morning! Great gift idea for the guys. Oh my heart! I want to get that for my husband! He would seriously LOVE it! What guy can resist a gift that features FIRE? lol. My father in law would love it! Never considered it as a gift yet it’s perfect — thanks! My husband would love this! He was just saying the other day that he needed a cutting torch. What a handy tool! I would love the self igniting feature I hate trying to light things! I should get my husband one of these for Christmas. He’s always tinkering with something in the garage. Definitely looks like a gadget my husband would enjoy and like having in his toolbox! This looks like a reliable torch. We could use this around the house. My hubby just got a torch! I bet it was this one! These torches are great for the handy man. There are so many things you could do with these. I bet my husband would want one. Yes, my husband could use one of these! I will have to keep this in mind! These are handy to have around and I find mine to be useful in new ways on a pretty regular basis. I would love a torch like this. It looks like great quality and easy to use. My brother would love this. Not my hubby. LOL! He is so not handy. My husband and brother would love one of these this year. We have one now but my husband wants one to keep inside the house by the fireplace.